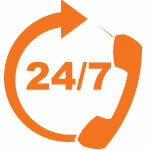 Pre Paid IT Support with PRO IT allows you to manage your own in house IT Support service hours. Giving you full control of setting your budget and requirements as you may already have such thorough knowledge and just require that extra support to help through. Clients may like to trial our services via a pre paid support arrangement before committing to a more strategic or longer term support arrangement.